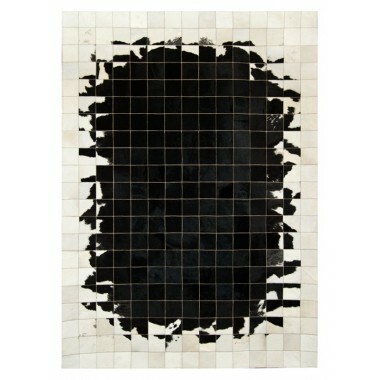 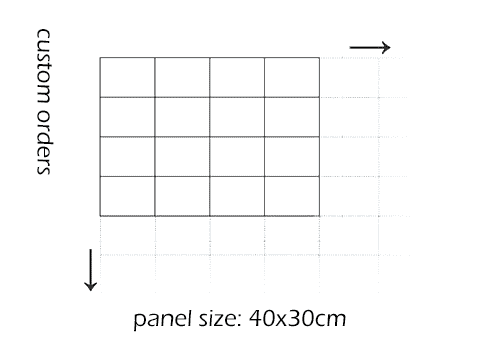 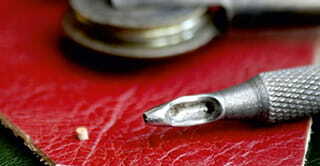 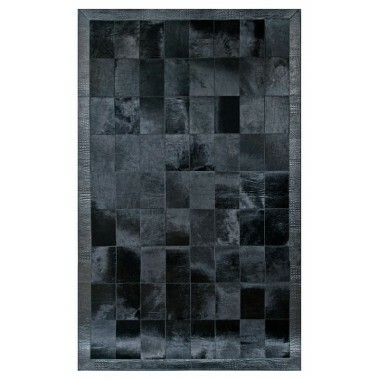 K-156 is a contemporary rug. 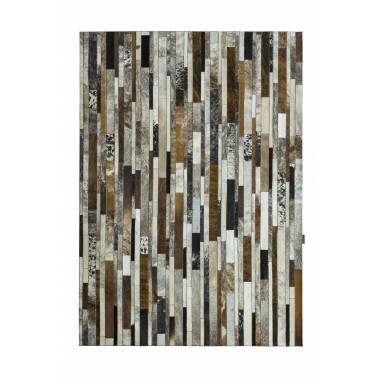 Deep brindled swirls over duo-tone brown and white leather tiles. 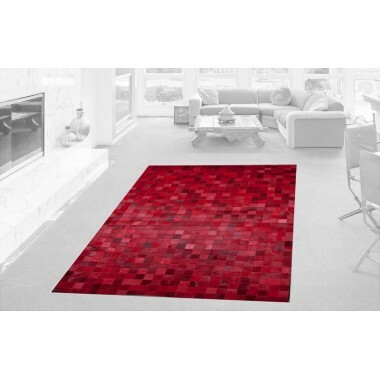 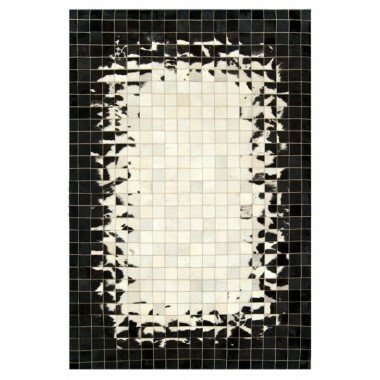 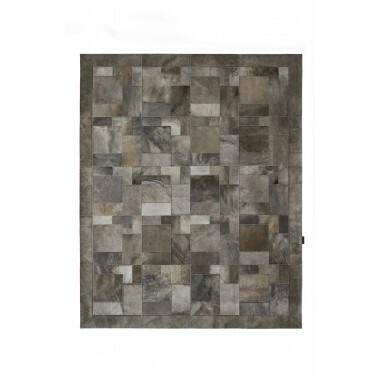 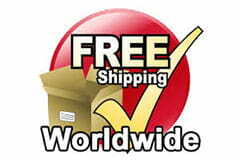 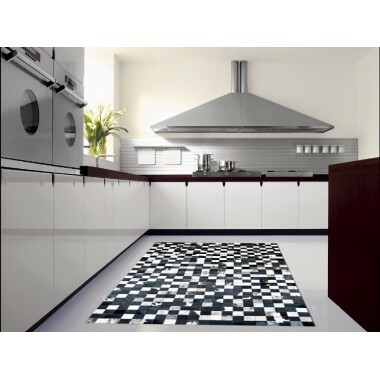 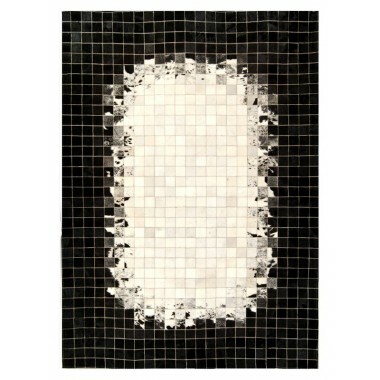 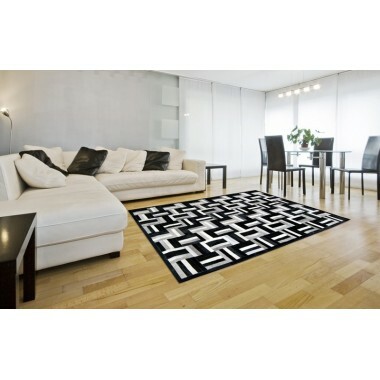 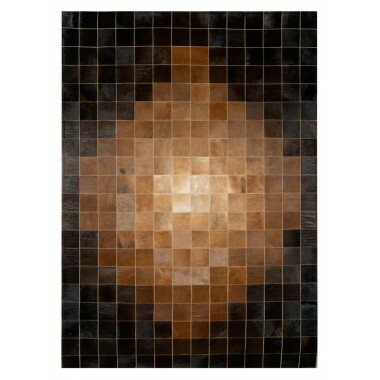 This rug is a great incorporation to any modern home furnishings. 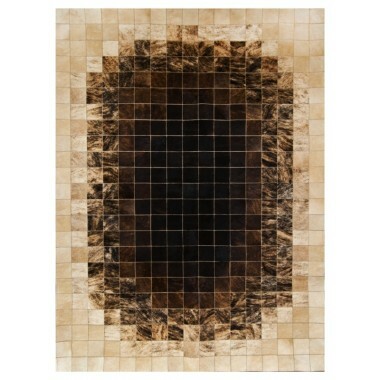 This rug would look great in front of the fireplace. 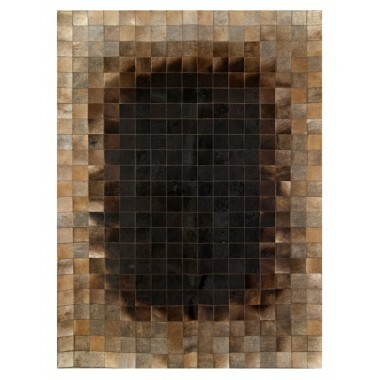 Nestle in on the soft, non-slip rug and watch the glow of the fire embers. 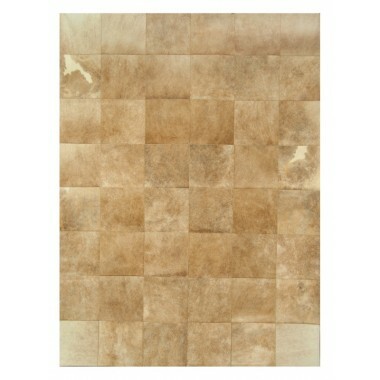 This medium brown rug is warm and inviting. 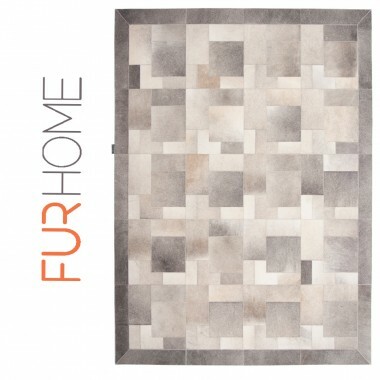 Whether you are sitting on the furniture and resting your feet on the soft rug or curled up on the floor you can’t go wrong with this rug. 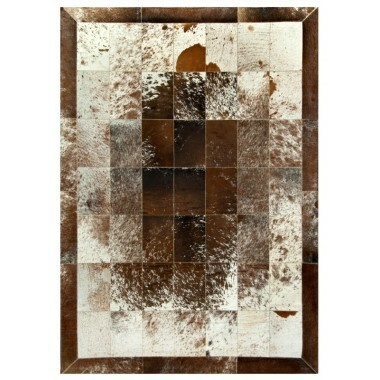 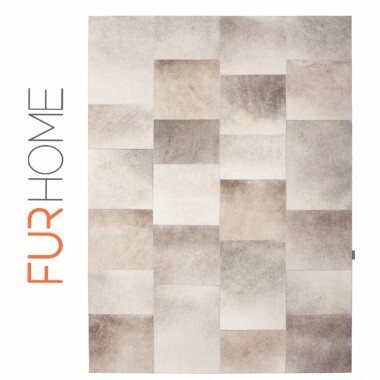 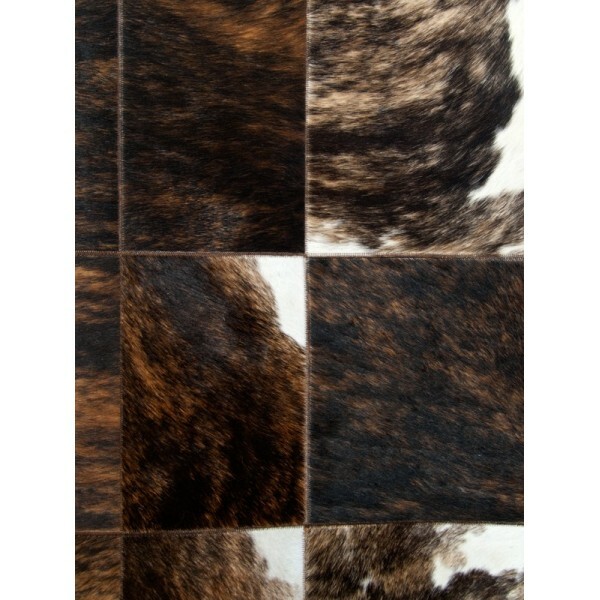 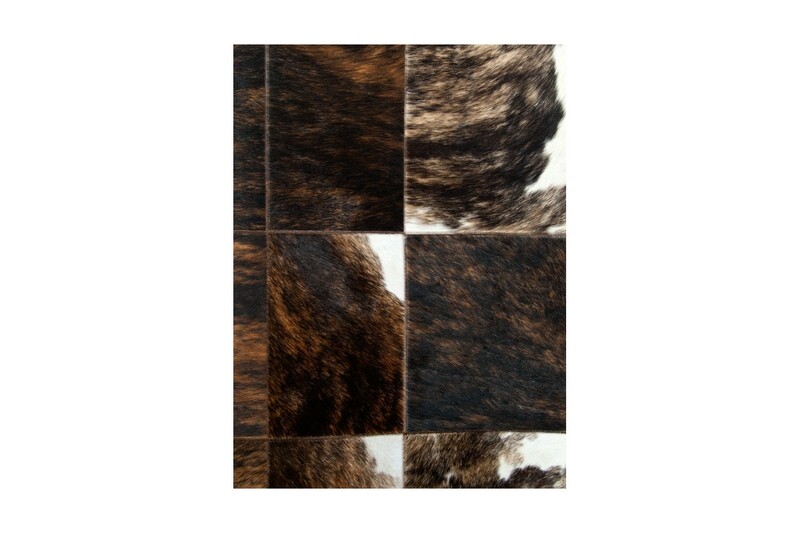 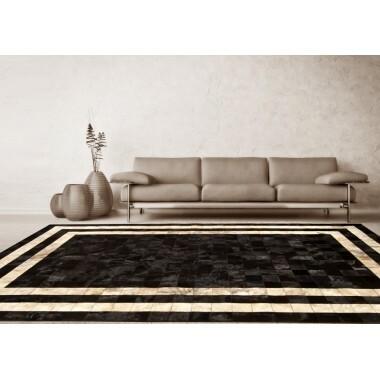 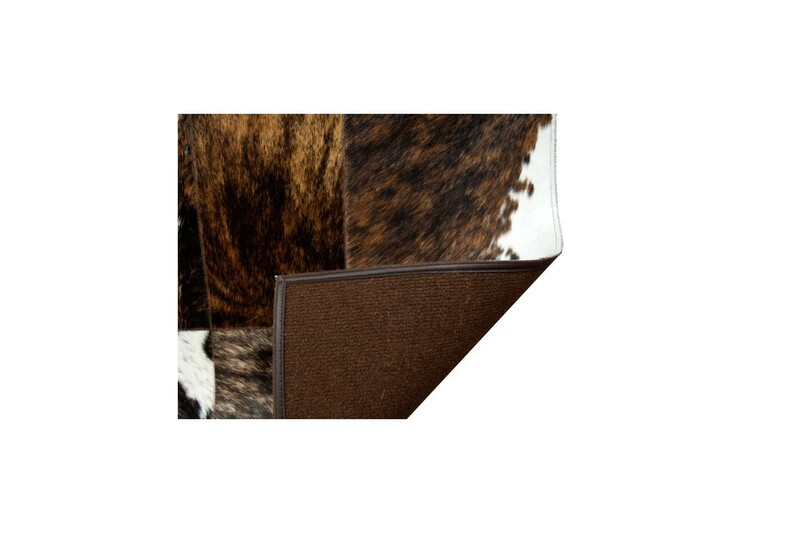 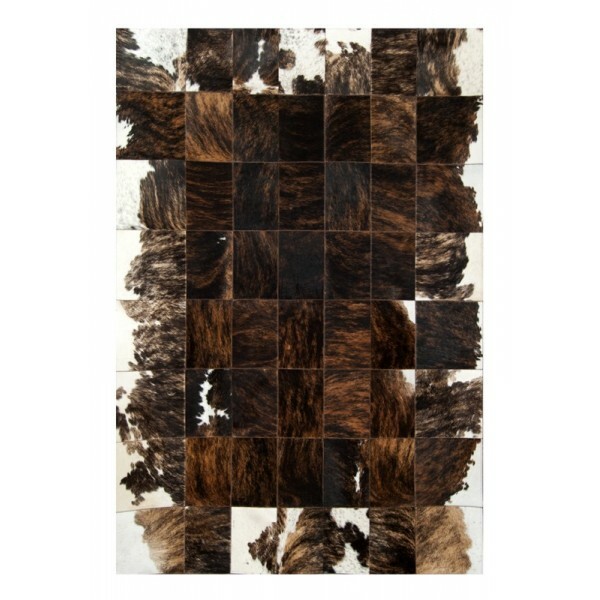 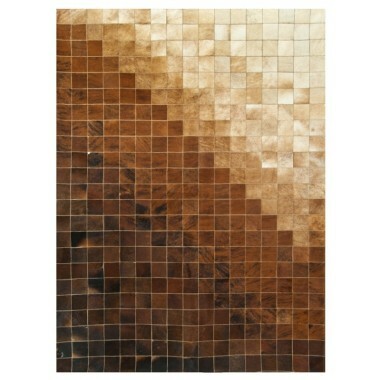 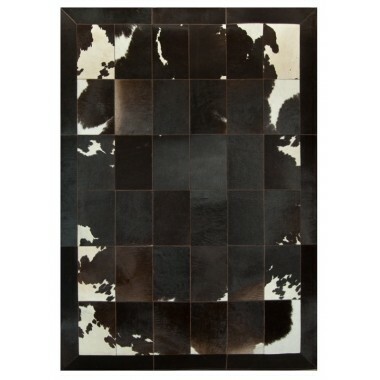 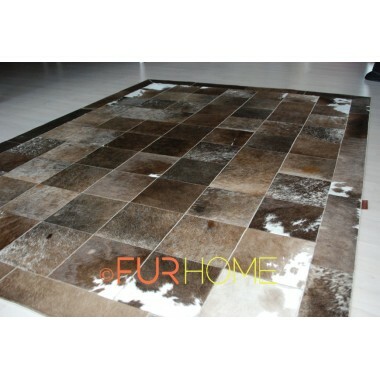 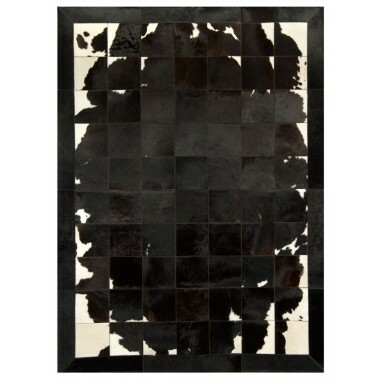 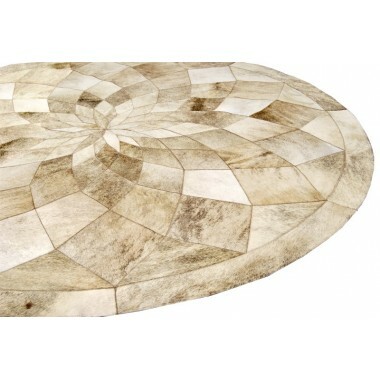 This handsome rug is full of the finest cowhide materials. 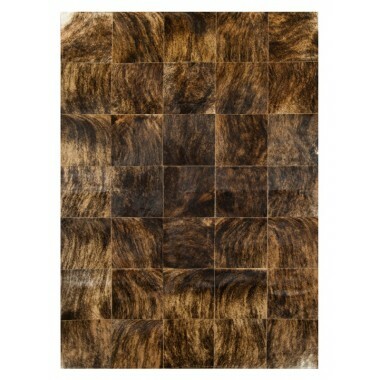 Only the best and softest parts of the hide went into making this rug. 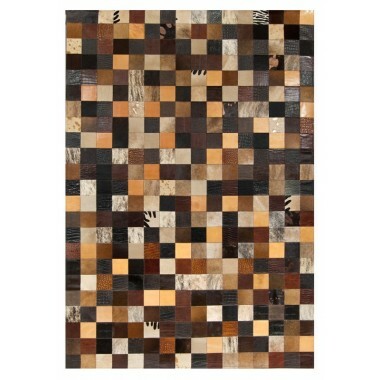 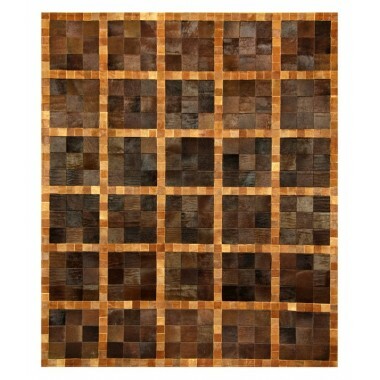 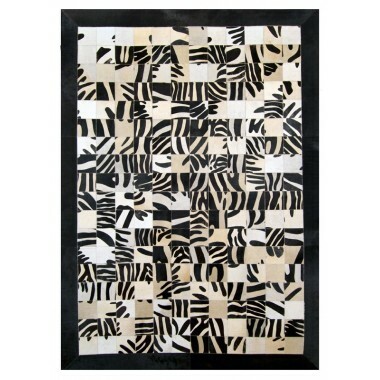 This patchwork rug is handmade and sewn together by someone who really appreciates what it takes to make a great rug. 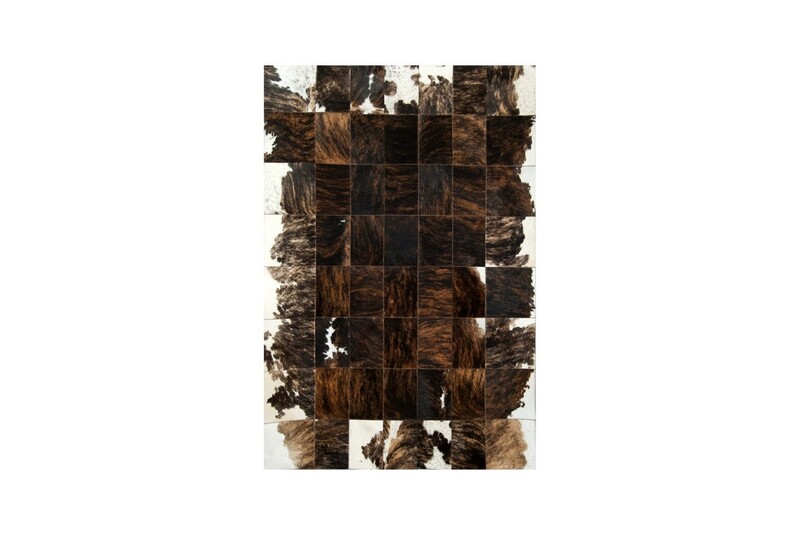 Perfection comes from this rug being sewn together on special sewing machines over time. 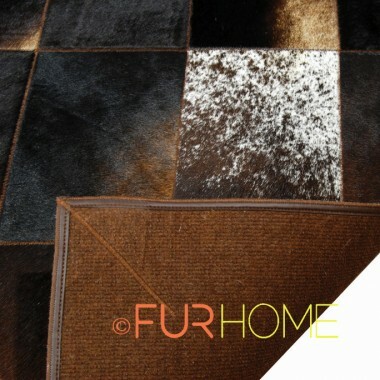 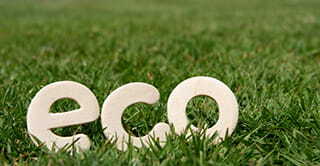 Just like the name suggests, this rug perfects the floor of your house, giving it that rich and comfortable impression.